Marmari. 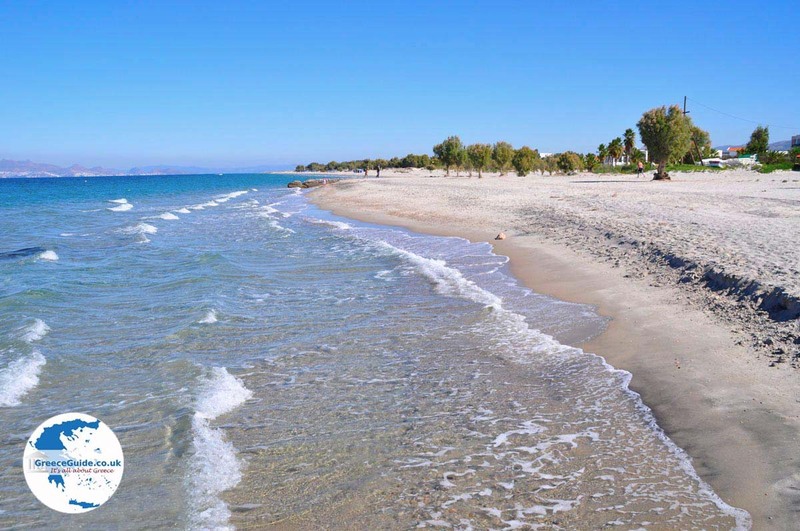 Marmari is a small seaside town located 15 kilometers (9 mi) southwest of Kos town and 12 kilometers (7 mi) from the Kos town airport. 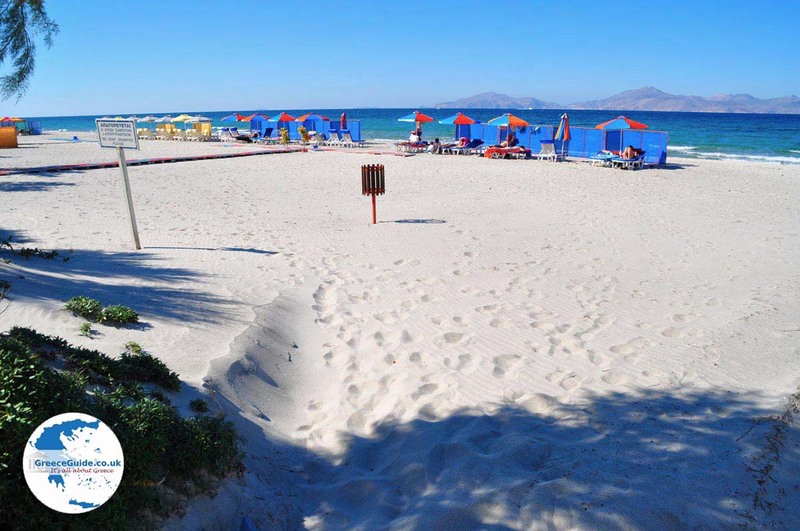 Marmari’s soft, white sand beach is beautiful. 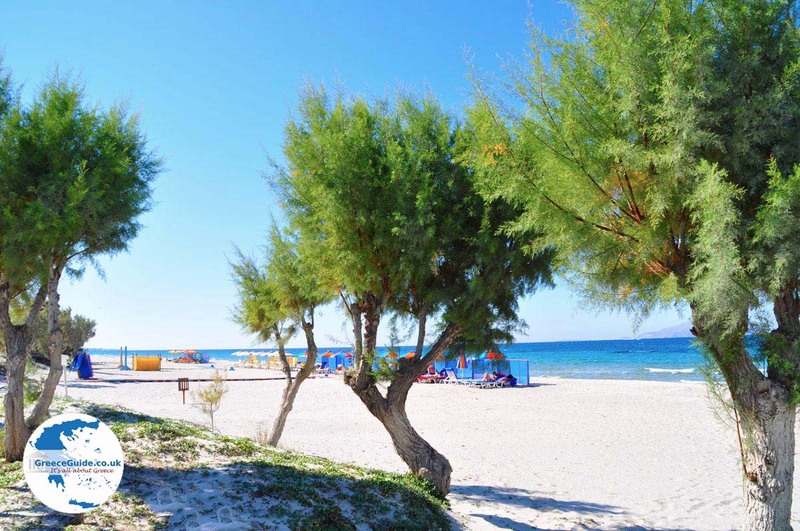 Behind the beach are low dunes that are overgrown with all kinds of trees. 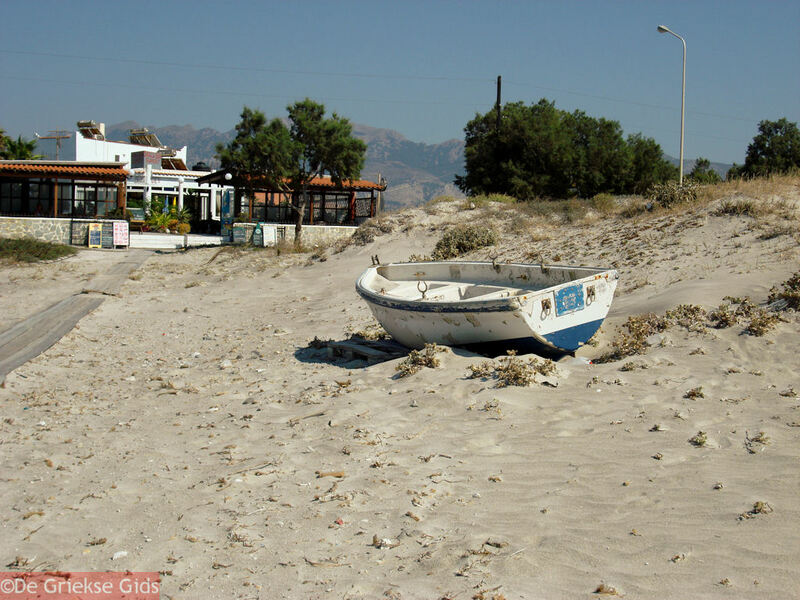 On the beach you will find several fish taverns, restaurants, bars and cafes. All kinds of water sports, like surfing and parasailing, are possible, along with horseback riding. 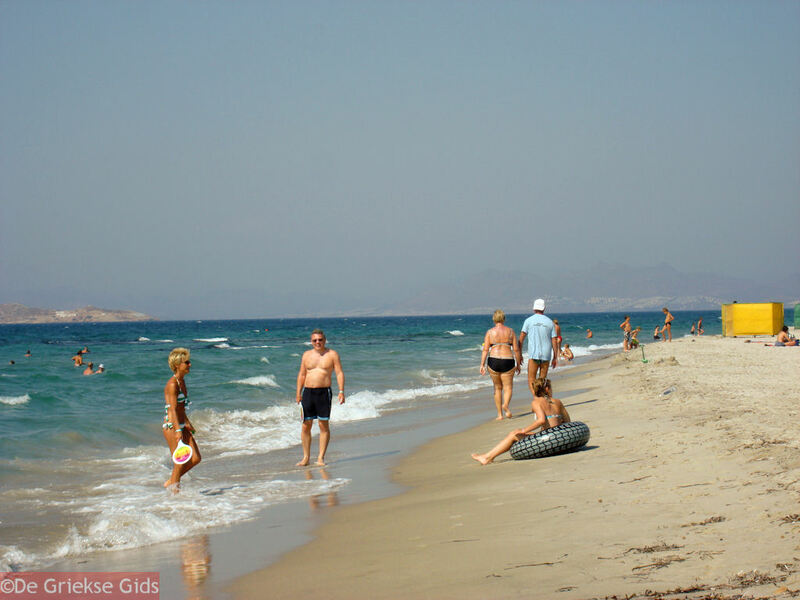 Vendors on the beach have sun loungers and parasols available for bathers. Administratively, Marmari belongs to Pyli, a traditional Greek village with many stone houses, where residents maintain local traditions. Just outside the new Pyli is the “Old Pyli” and the ancient ruins of a castle. This castle dates from the Middle Ages and the time of the knights. 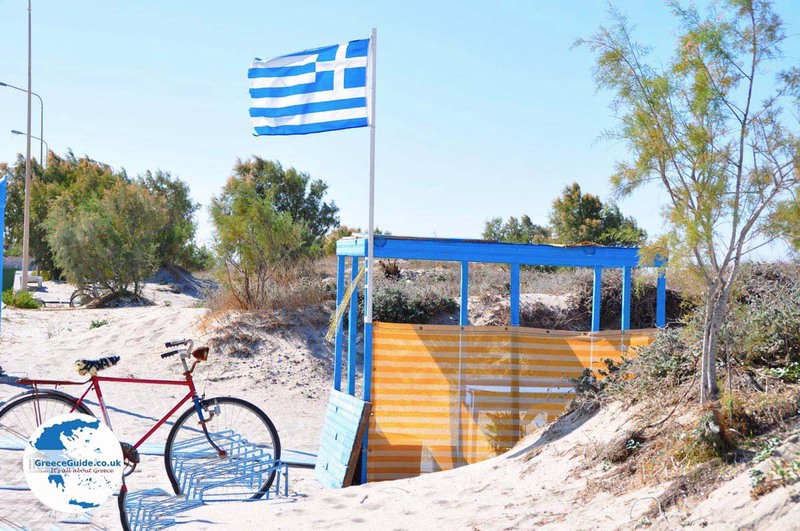 When you stay in Marmari, you can easily take the bus to Kos town. However, many tourists choose the bike or travel by car because of the good, flat road that is partly a dedicated bike path. 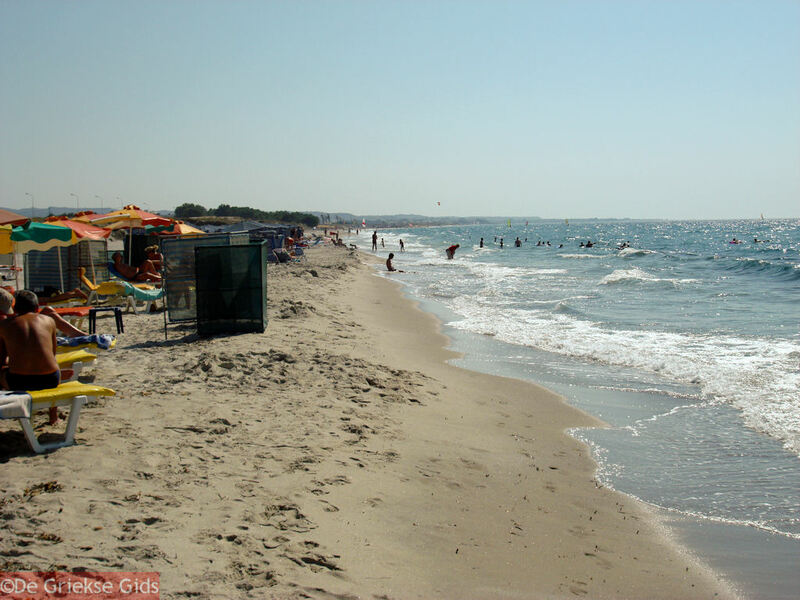 Because of the lovely beach, in recent years, several large hotels have located around Marmari. 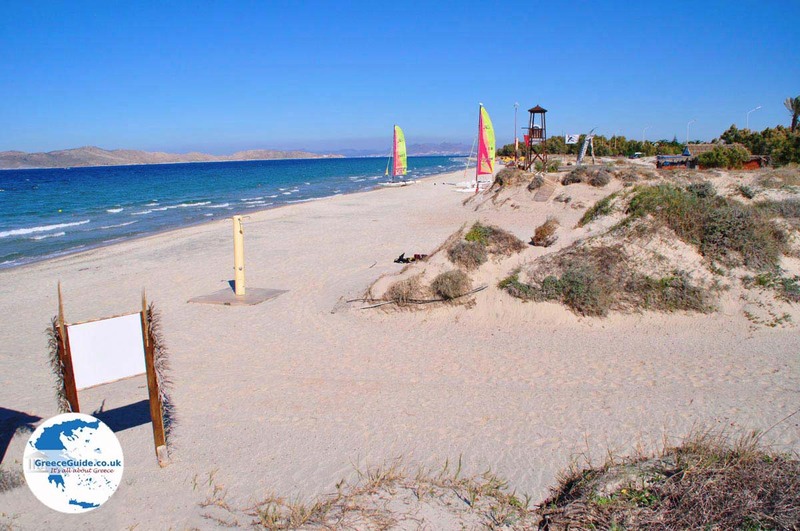 Today, Marmari is one of the most popular resorts on Kos. 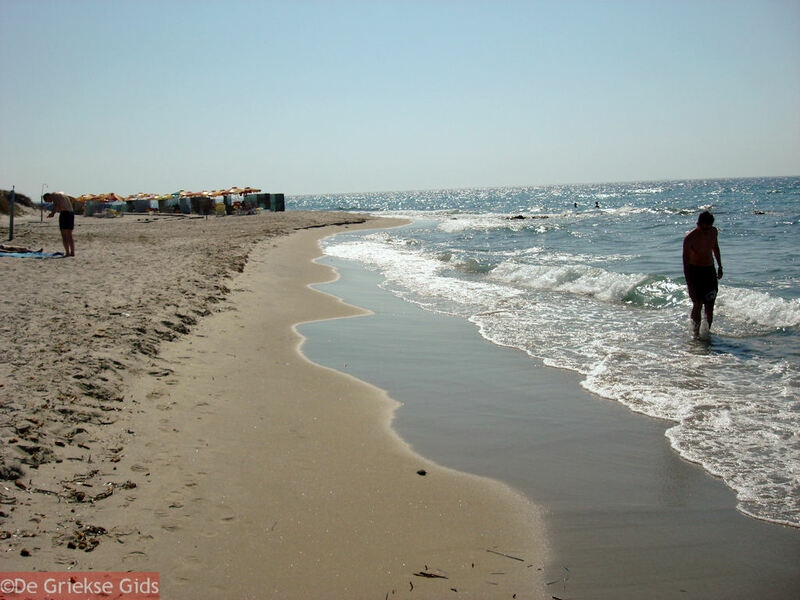 Within walking distance of the village are the salt pans of Marmari and a little further another popular spot, the beach of Tigaki. 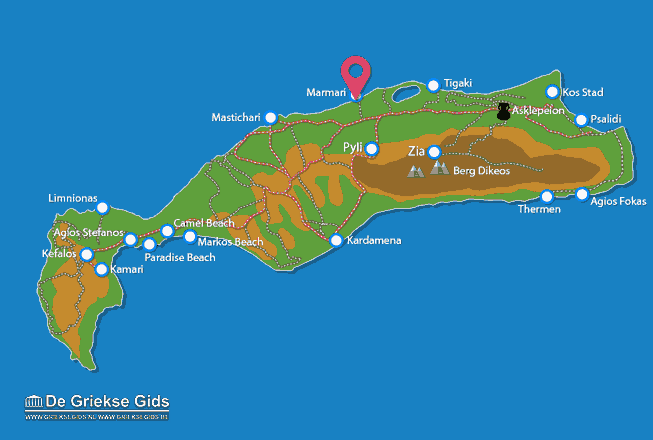 Kos: Where on the map is Marmari located?